The dome of the Pantheon is the largest unreinforced concrete dome in the world. 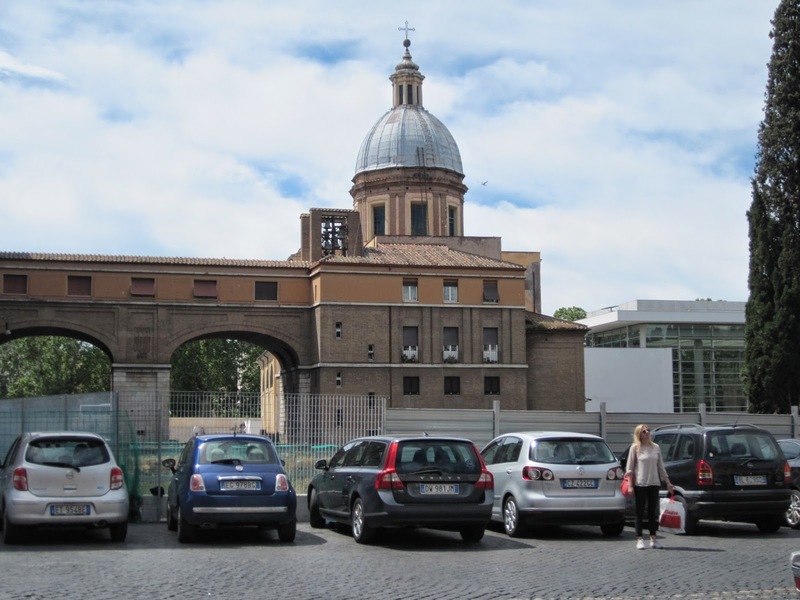 The structure was built around 126 AD and was converted into a church under the name Santa Maria ad Martyres in 609. The present Panteon is a rebuilding of a previous structure built around 27 BC. The dome of Santa Maria del Popolo was probably designed by Andrea Bregno during the reconstruction of the church in 1471-84. The church, which was built for the Augustinian friars of the Lombard congregation by an architect from Lombardy, has been described as Lombard in style. The lead dome has no lantern but is topped with a finial with a ball. The bell tower also appears inspired by churches in Lombardy and is unusual for Rome. 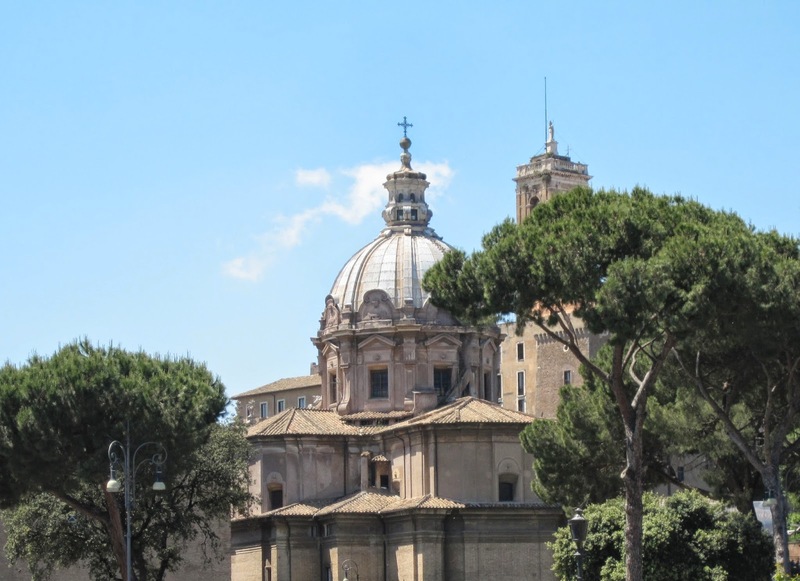 The church has two additional domes, one of which is visible from the piazza. The dome over the Cybo Chapel was done by Carlo Fontana in 1687. It has a lantern with columns topped with a small cupola. 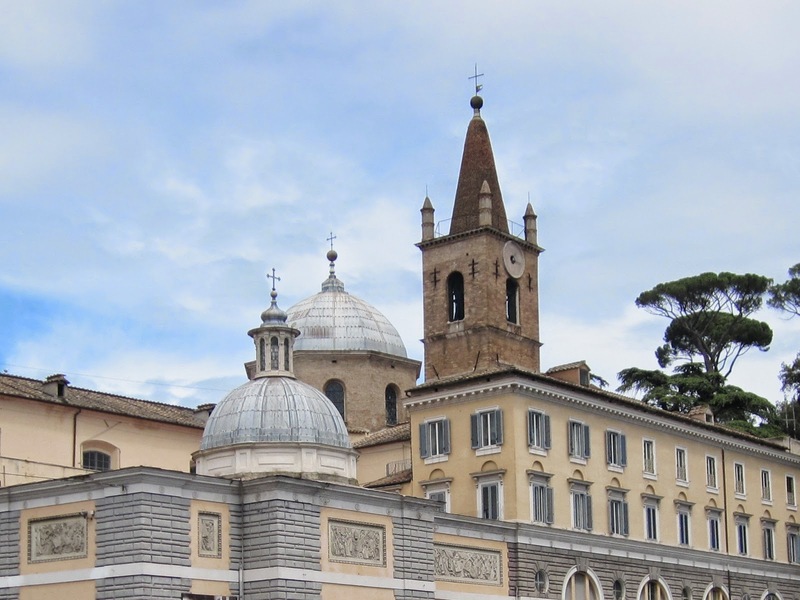 The other dome, a tiled saucer, is placed over the Chigi Chapel and can be seen from outside the city walls. 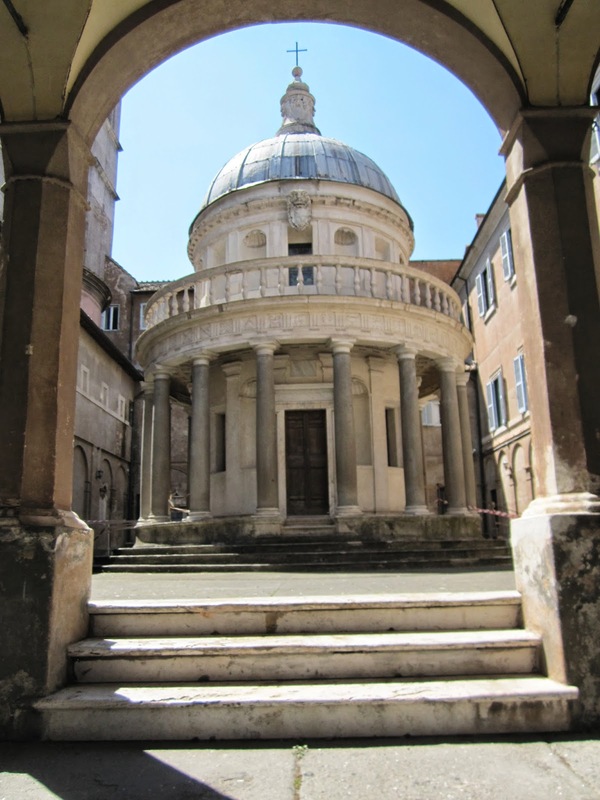 The commemorative building known as the Tempietto was built around 1502-14 to designs by Donato Bramante. The lantern was added after Bramante's time and differs in style to the original. In 1500, the chapel of Our Lady of Loreto was given to the Guild of Bakers and the building of a church to replace it started in 1507. The original architect was Antonio da Sangallo the younger, but he seems to have worked on the project primarily in the period 1518-31. Work was only resumed in 1573 when Jacopo del Duca started work on the dome. The lantern was added in 1583 and the church seems to have been fully completed only in 1596. The dome of San Carlo ai Catinari was designed in 1620 by Rosato Rosati. The drum is made up of arched windows and Ionic pilasters in brick, while the dome in lead consists of ribs and oculi and is capped with a lantern, with Ionic pillars, topped with a ball finial. The facade of this church was designed by Giovanni Battista Soria in 1635. 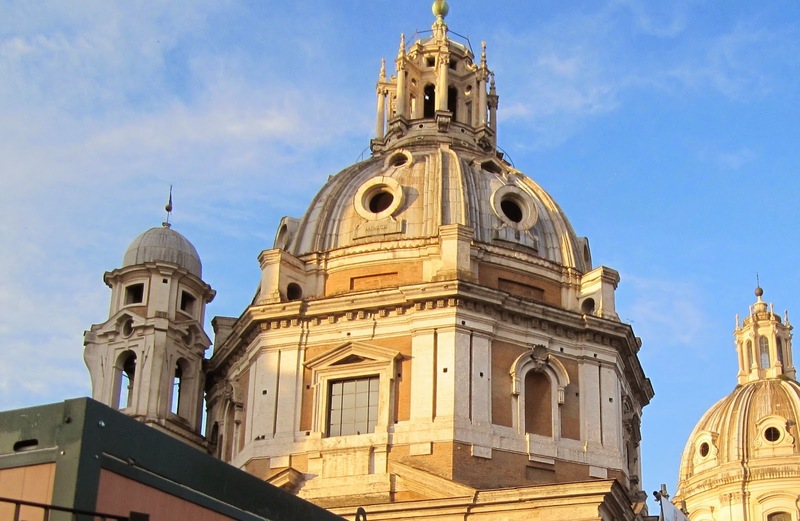 The dome of Sant'Andrea della Valle was designed by Carlo Maderno in 1620-22, with the possible exception of the lantern which may have been designed by Borromini. The brick drum has coupled Ionic semi-columns and the windows are capped with triangular pediments. The ribbed lead dome is topped with a lantern with Ionic pilasters. 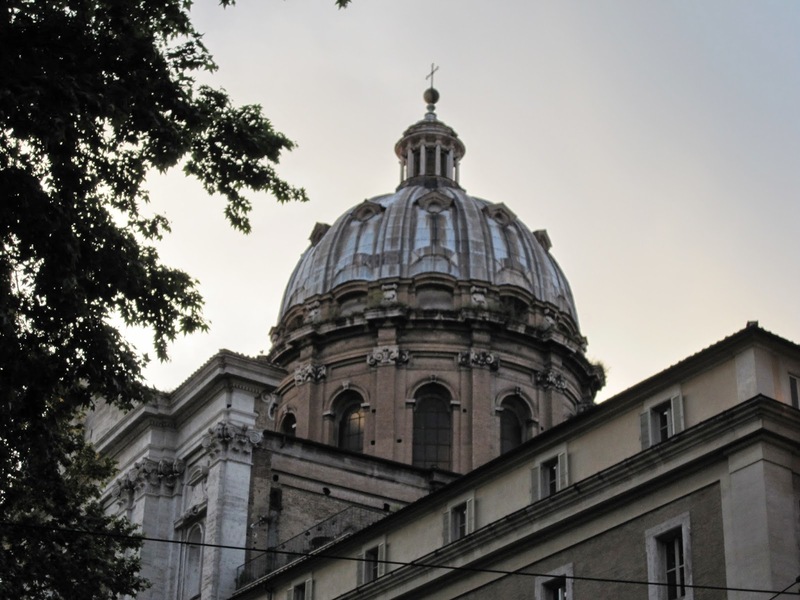 The dome of SS Luca e Martina was designed by Pietro da Cortona in 1644. The drum has windows capped with triangular pediments and the ribbed dome is topped with a lantern similar to the one da Cortona would later design for San Carlo al Corso. 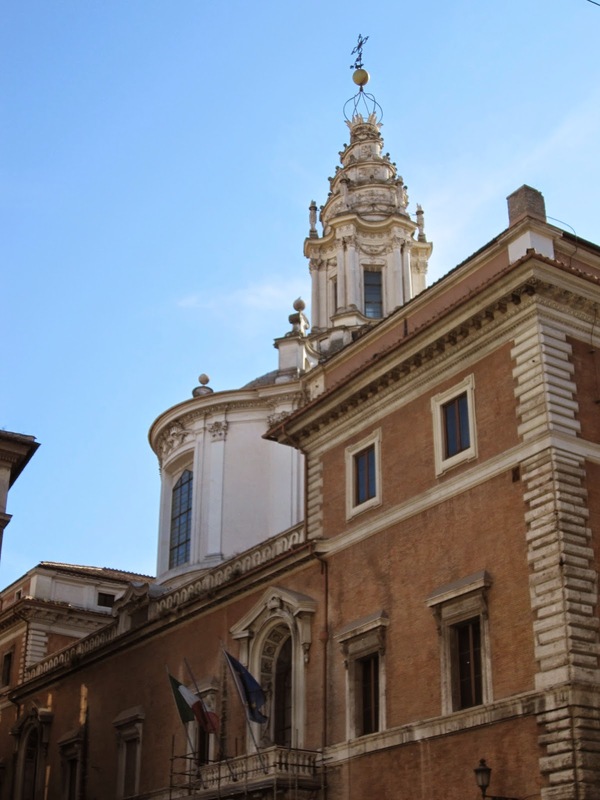 The dome of Sant'Ivo alla Sapienza was designed by Francesco Borromini during the construction of the church from 1642 to 1660. The corkscrew lantern is very unusual and supposedly represents the sting of a bee, the heraldic symbol of Pope Urban VIII Barberini. The dome of San Rocco all' Augusteo was designed circa 1654-57 during a rebuilding by the architect Giovan Antonio De' Rossi. The tall drum has Doric pilasters in brick while the lantern has Ionic half-columns. The facade was added in 1834 by Giuseppe Valadier in a Venetian inspired style. 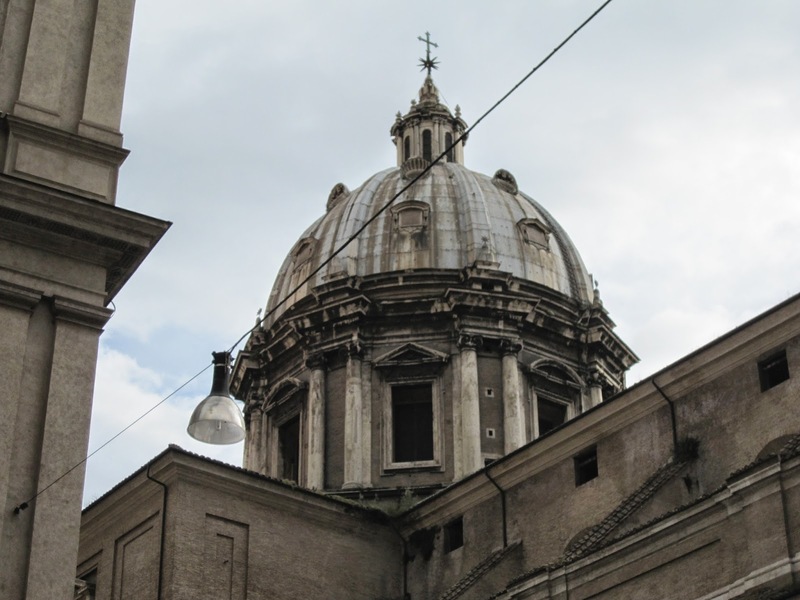 The dome of San Carlo al Corso was designed circa 1668 by Pietro da Cortona, who also completed the apse. Construction of the the church had started in 1612 and would be completed in 1684. The previous church had been given to the Lombard community in the second half of the 15th century and rebuilt in 1513-20. Before the Lombards, the parish church had been known as San Niccolò del Tufo and may have existed in the 10th century but the first unambigous reference to it is from 1269. The old church was finally demolished in 1672 to make way for an oratory. The architect for the new church was Onorio Longhi, but it has been suggested that the initial design was by his father, Martino Longhi the elder. The work was continued after Onorio's death by his son Martino Longhi the younger, before Pietro da Cortona took over. The front was designed by Gian Battista Menicucci and Mario da Canepin.